Kismet? Absolutely! 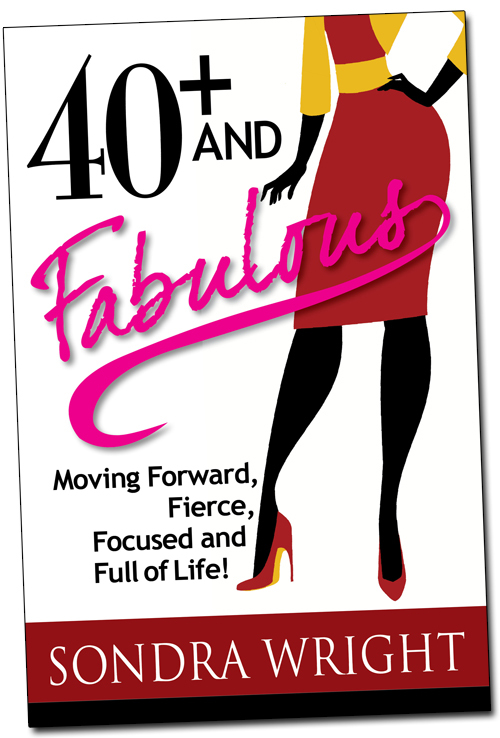 With forty fast approaching, I became familiar with author Sondra Wright and her debut publication, 40+ and Fabulous: Moving Forward Fierce, Focused, and Full of Life! Previously, I had searched via hashtags for links and/or Tweeps dealing with turning forty, but came up only with tweets concerning a particular size of malt beverage. Truly shocked at not finding a plethora of groups, causes, and sayings including the infamous “turning forty” ideal, I was elated when I came across a book celebrating this decade (and then some) of adulthood. A compilation of autobiographical essays written by talented, strong women at least forty years of age comprise the majority of the pages. These pages reveal with much honesty and humor the truth about experiencing one’s forties from a female perspective. After close reading and much highlighting, recurring themes began to take root . . . the inevitability of the “girls” heading south (and not solely for the winter), the deepening of female friendships and the release of toxic relationships, the forgiveness of not only others, but also one’s self, and a thorough understanding (physically and intellectually) of the often perplexing male specimen. An excellent book club choice for a lively discussion, a Ladies on the Lawn party as portrayed in sixty-year-old Terry Kohl’s contributing commentary is the optimal setting. Taking liberties due to extreme St. Louis summer heat, I opted for an air-conditioned Ladies on the Linoleum and Carpet party. Although long, flowing garden-style clothing would be welcomed, I am more of the tattered jean capris and hoodie kind of gal, and I want my gal pals to come dressed in whatever suits their moods. Guests may bring a dish of her own choosing to pass. 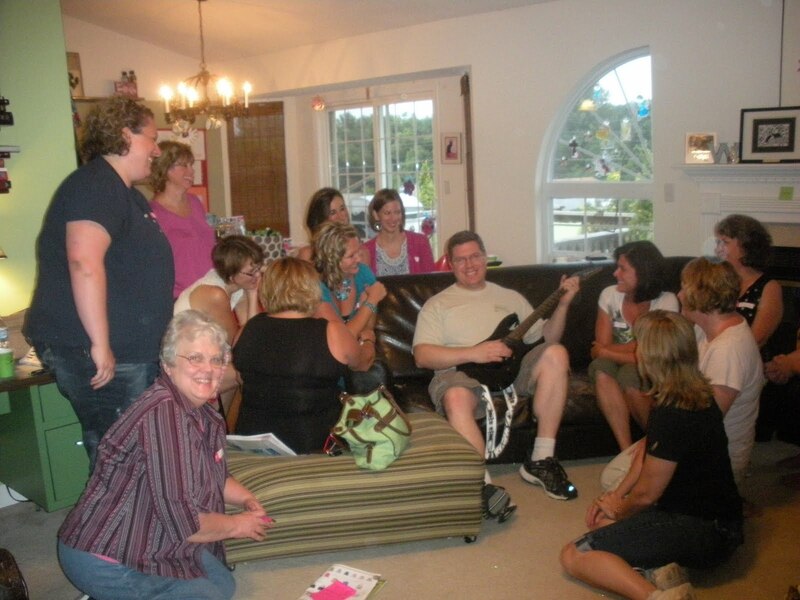 What is crucial to this book club discussion is the one male instrumentalist. In Kohl’s case, her musician played the fiddle, violin, and mandolin. For our purposes, the hub with minimal urging retrieved his electric guitar from his man cave and serenaded us with heavy metal as we sipped our sangria. Think Amazon Women at the Festival of Dionysus . . . 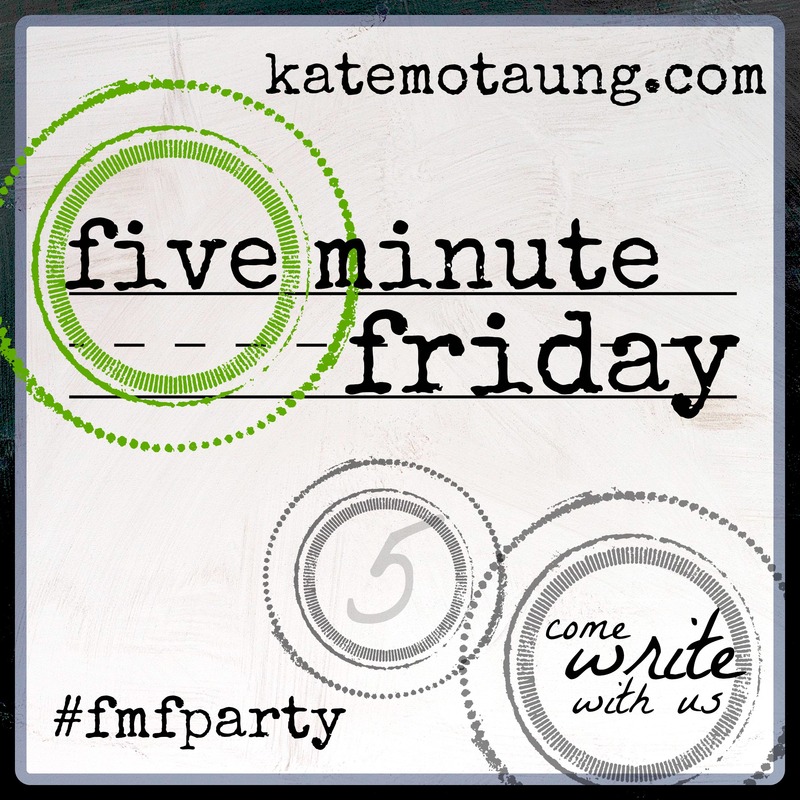 Even if a hunky musician does not reside in your abode, do not hesitate to invite the girls over, turn on the iPod, and with the guidance of Sondra Wright, discuss how 40+ and fabulous you all are.